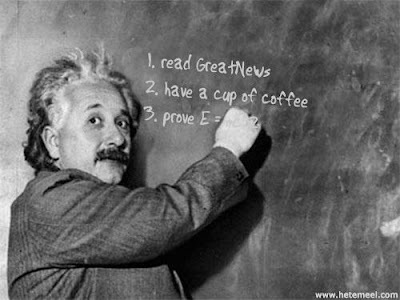 Want a Head Start? 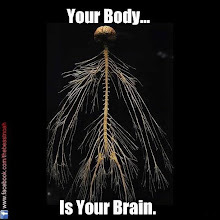 Start with Chiropractic. This is my latest article published in the Citizen: May 17, 2011. I had a wonderful time speaking to a group of high school seniors recently. It was very refreshing because they didn’t know anything about chiropractic so I didn’t hear the usual conversations that often come up regarding chiropractic. When I talk to groups of adults I hear the typical questions about someone’s back pain even if it is not the topic of my talk. People seem to be programmed to discuss their spinal surgeries, carpel tunnel syndrome and whiplash when they meet up with a chiropractor. While I really feel for people who are struggling with long standing pain, I am trying to share a different message about health. People with poor health are looking for reassurance that it is not all in their heads. I truly believe it is not all their heads, but they need to turn their heads in a new direction. The high school students I spoke to had a fresh outlook regarding health maintenance. The first thing I said to them was, “All disease is the same, so don’t get bogged down in the details.” I explained why it isn’t that complicated and we can avoid feeling anxious over every breaking news story about a disease. This gets people’s attention because I am asking people to rethink healing. I had to give up old ideas myself; otherwise my own health would have been a personal struggle. I grew up thinking “things happen to you,” but, now I know why. 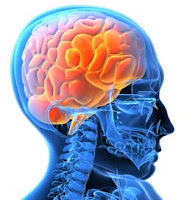 Patterns are memorized by the nervous system as we experience events and behaviors. The same way we learn how to ride a bike is the same way the nervous system reinforces strength or weakness in the body. Endocrinologist, Hans Selye, made stress a household word so we could understand how repeated exposures of unhealthy events deplete the body of its survival reserves. Scientists use the term “neuroplasticity” to describe how experiences can positively or negatively change the brain. Because the spinal cord is an extension of the brain, chiropractic can provide the fastest way to reset nervous system patterns like rebooting a computer. This has been shown in experiments using EEG brain scans before and after chiropractic adjustments. 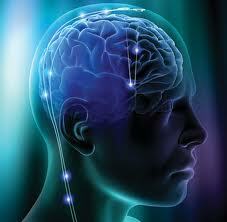 Immediately after adjustments, EEG readings showed a higher state of relaxation, health, and healing. All disease is the same because the stress response of the nervous system is always the same as it attempts to protect the body. Disease symptoms will present differently from person to person depending on each person’s state of health and nervous system patterns. During my talk I pointed out the various times in my life when injuries and life style choices repatterned my nervous system. Looking back I realized these events could have spiraled into a debilitating condition had I not used my chiropractic knowledge to make changes. I wish the graduating seniors much success and good health. They get to start young with this information but anyone can take a different look at their health and use chiropractic to change their healing patterns. Chiropractic 101: Where's Your List? I don't have a list. Because it is wrong. Reading "the list" on a website is the wrong way to decide to go to a chiropractor. #1 - Self Diagnosis - it's okay, you might be spot on but you need to be open minded to the actual way chiropractic influences the body. If your curiosity gets you through the door of my office, I welcome you. But, be ready for learning how to empower yourself in a way not presented to you by the medical arena. #2 - Self Diagnosis - on the other hand, if your assumptions keep you out of the office, you are missing out on a great healing opportunity. Maybe you need healing from something else that you haven't considered? #3 - You don't have to be in pain to get adjusted. Revisit this blog post about people without pain getting even better when adjusted. #4 - Warning Signs? - We usually wait until pain shows up before we take action, but what if I taught you some more important warning signs that are not painful? #5 - If I limit myself, I also limit you. Should I turn people away if they have a condition that is usually not connected with mainstream chiropractic? Should I turn away a pregnant lady? A child? Someone with an immune disorder? Someone with cancer? I take care of people, not diseases. You can live your Best Life Always, or you can just put out fires. So, if I put a list on my website with 10 or 15 skeletal issues that chiropractic might be good for, it makes people think they may not be suitable for chiropractic care. I never want someone to be in the dark about chiropractic. You won't see a list at my site. Patternology is the best word to describe chiropractic. People have their own notions of chiropractic. I had no notions when I first researched chiropractic as a career change. I wasn't looking for pain relief, but I was looking for a better way for people to open up their world. And it all comes down to patterns. We are bright thinking people. We have invented great technology. We sent scientists to the moon. But we are very simple. We run on patterns-- the neurological patterns memorized in the brain and spinal cord. Are you getting adjusted because you are in pain? Nope-you really have a negative pattern that if continued would develop into a degenerative disease through the inflammation response. So, you fell down. You got bruised. You were sore for a while and then you felt better. What you didn't notice was the shift in the spine that changed the subtle transmission of nerve energy so the next stressor that comes along responds differently. Most of our stressors are emotional or chemical (diet/toxins). Your body adapts and these adaptations change your healing patterns. Chiropractors like to use the term subluxation. Sub means less. Lux means life. A subluxation is an altered state of the nervous system where organ and motor function meet at the spinal complex. Basically, the patterns have been changed as the body adapts to stress. But we don't want to adapt so stress takes over. We want to body to defend itself and remain strong. The first thing you need to do is interrupt the pattern and rewire your brain's defense response. Chiropractic does this with adjustments. You support your adjustments with nutrition, detoxification, exercise, rest and stress management. We can live our Best Life Always or we can just put out fires. Many of you are already seeing insurance cutting back a great deal when it comes to chiropractic. But chiropractic care is essential to your health and I highly recommend more people sign up with PCD for affordable and unlimited care. PCD allows me to legally discount my fees and avoid the entire insurance process altogether. Do you know what this means for you? You can have weekly lifetime care for $14 or less! Kids are free. You can get adjusted for depression. You can get adjusted to support your addiction recovery process. You can get adjusted for stomach pain. You can get adjusted for constipation. You can get adjusted for female problems and infertility. You can get adjusted to have a faster labor with less pain. You can get adjusted to have more energy. You can get adjusted to perform better at work and sports. 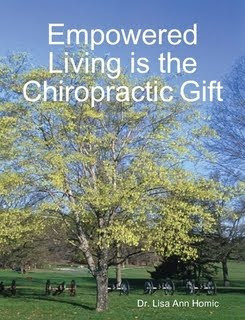 You can get adjusted because you already feel great and what to protect that precious gift. Your can get your children adjusted so they grow up avoided possible nervous system patterns that can damaage their health. You can get adjusted as much as you want. NO LIMITS. And I don’t have to quiz you endlessly about back pain to see if I can bill it as a spinal disorder. In my office, I keep a list of prescription drugs that cause nutritional deficiencies so I can remind folks they need to increase their supplementation otherwise their health is going worsen over time. Blood pressure is often caused by a magnesium deficiency. Blood pressure medications will deplete the body of magnesium even further. See the problem? I was looking online for a more thorough list since there are so many new brands of drugs, and it took me a while to find a good, informative site. Click here to use this site. Here is another article with a number of examples. Cholesterol meds are notorious for deplete ting the body of CoQ10. This leads to a weakening of muscles, including heart muscle. CoQ10 is already severely depleted by age 20 because the body makes very little of it by then, but making it worse with a drug is a problem. Most pain meds deplete trace minerals. 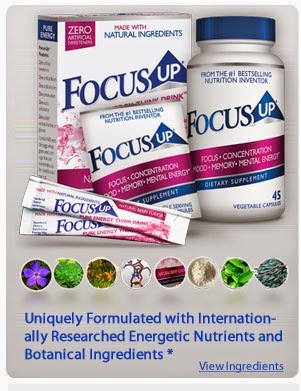 The body will not naturally cleanse itself when trace minerals are lacking. Keep these lists on hand if you are thinking about taking a drug so you can really consider the risks. Often there is a natural solution if you look for it. And don't forget chiropractic to speed healing from past nutritional deficiencies. Is like building a house without a roof. ---See you at the table...the chiropractic table.